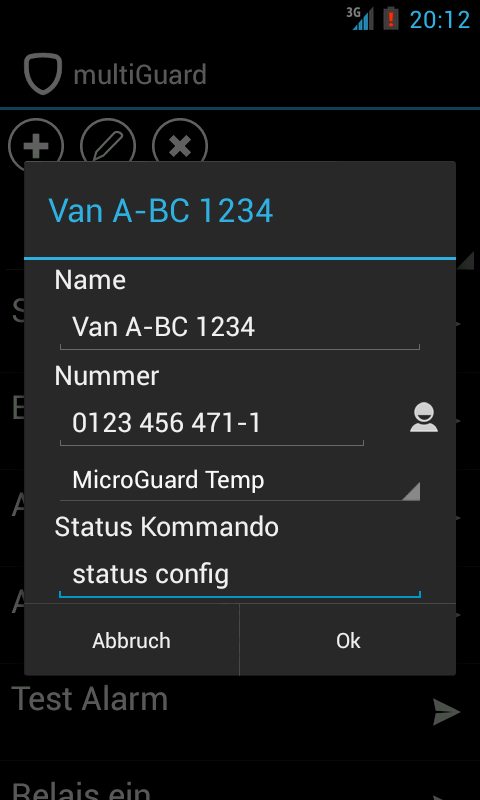 This application works as a remote control for different devices that operate on the MicroGuard logic. Before starting, a device must be defined. The commands for each device are stored in the file devices.xml on sdcard/data/multiguard. The commands can also be edited by a long press on the entry. In the settings dialog the delivery state can be restored. If the name has not been edited, and the number is retrieved from the contacts, then the name of the contact is used. In the main view the menu can be activated and thus the settings, the program information and the termination can be selected.